According to a new study, prison recidivism rates increased after Florida passed a law banning felons with drug convictions from receiving food stamps. Specifically, researchers found that former felons “turned back to crime”–monetary-based crimes—just to make ends meet after being denied access to social-welfare programs after leaving jail. In addition, the ban clearly places an ex post facto punishment on those who have already served their time for drug crimes. Sadly, this is one of many “benefits” that have been denied to Florida citizens simply because they have a record: Florida is also one of three states where felony convictions permanently strip ex-felons of their voting rights, regardless of the crime and the time passed. Some are now calling the food stamp ban specifically a civil rights issue, given that other convicted felons (i.e. anyone convicted of a crime that was not a drug crime) are still able to receive the benefits. Although this plan was put in place back in the late 1990s, unfortunately, Florida still has the partial ban on food stamps in place for felons, and legislators are now proposing to also add work requirements onto Medicaid. Because Florida ended up incarcerating the added felons, the food-stamp ban actually cost Florida more money than states that never cracked down on those benefits. In contrast, the average food-stamp recipient only receives between $80 and $150 per month, and more than half stop using the benefits after 36 months. Earlier this year, a lawsuit settlement between state government officials and community groups opened the door to over 150,000 Floridians who had been denied food assistance. 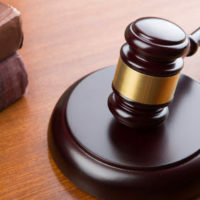 Specifically, the class action lawsuit was brought against the Florida Department of Children and Families and the U.S. Department of Agriculture under the claim that the food-stamp system discriminated against individuals with disabilities. As reiterated by the lawsuit, every Floridian deserves to be treated with dignity and respect. Not only should the state be required to implement best practices, but alternatives should be offered to anyone who is barred from access to the program. Both the Americans with Disabilities Act and the Rehabilitation Act bar discrimination in public benefits programs operated by these agencies. This ban is punishing those who have done their time for nonviolent crimes. Instead, our goal as a society and state should be to get people employed and provide them with benefits like food stamps in order to decrease recidivism rates and help them rebuild their lives in the community. If you have been accused of a drug crime or denied your civil rights as the result of a previous conviction, contact our experienced criminal defense and civil rights attorneys at the Baez Law Firm today to find out how we can help.